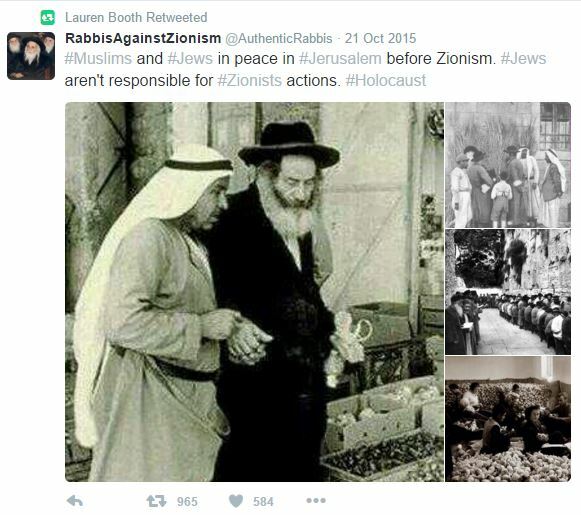 Yesterday, I had a quick look at the Twitter feed of antisemite Lauren Booth, for potential post material. The fact I have started this post mentioning it should confirm to you I succeeded. Among the litany of vile tweets, a couple stuck out for me. Ridley, Booth and others like them are attempting to separate Zionism from Judaism, presumably to defend themselves against allegations of antisemitism. So they are suggesting Zionism started in 1896 – the year before Theodor Herzl convened the First Zionist Congress. While reverse image search would not reveal the true date of this photo, I am willing to bet it is not from before 1896. Especially looking at this less grainy version. 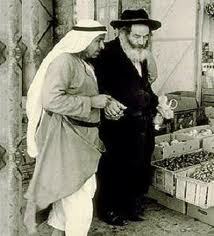 Plus I can find plenty of photos from modern-day Israel showing Jews and Arabs getting on well. Because it is very common. But I will choose this particular photo to illustrate my point because it will really piss off the haters! Last night I attended the wedding of my brother-in-law Matt. It was a highly emotional experience, and, like at all Jewish weddings I attend, I was very aware of the centrality of Jerusalem and Zionism in the proceedings. You are probably all aware the groom at a Jewish wedding stomps on a glass to conclude the wedding ceremony. Right before doing so, “Im eshkachech Yerushalayim, tishkach yemini” (If I forget thee, O Jerusalem, let my right hand forget her cunning) is sung. The glass is a reminder of our mourning of the destruction of the Jewish temple, even at this most joyous of times. This is just one example of the centrality of our homeland Israel, and holiest of cities Jerusalem, to Judaism. 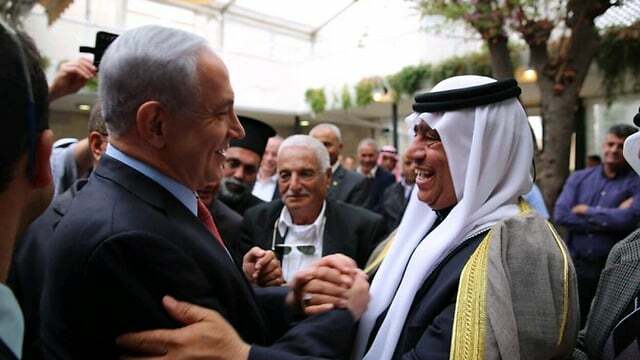 Even the fringe nuts like Neturei Karta – darlings of the Jew haters because they provide them with the “some of my best friends” defense – call for the dismantling of the State of Israel in the belief that Jews are forbidden to have their own state until the coming of the Jewish Messiah – and not because they believe Judaism and the belief in Israel as the Jewish homeland are not intertwined. Like a bad joke, it is just all about timing. In other words, when the Jewish Messiah comes, all bets are off, and the Neturei Karta and Jew haters are no longer going to be besties. I have just scratched the surface. There’s so much more – like the fact nearly every major Jewish prayer mentions “Israel” more than once, the fact we face Jerusalem when praying, the fact Jewish festivals are based on the agricultural cycle of the land of Israel. I could go on and on – but that’s not how I roll. 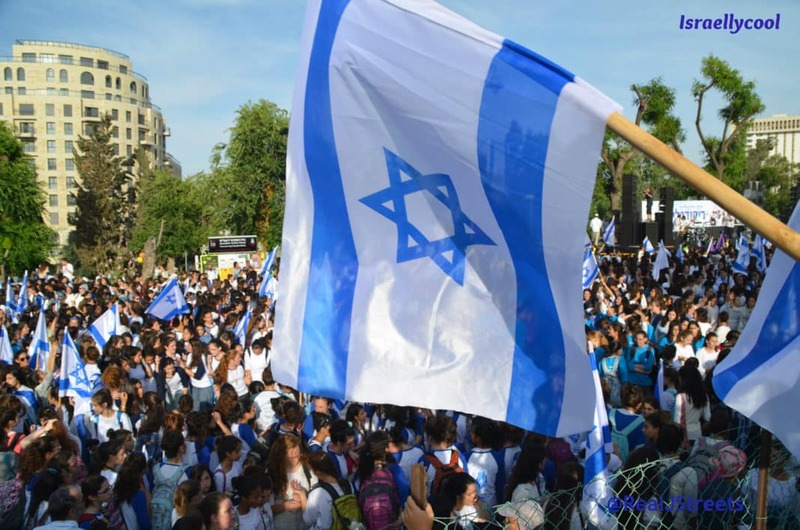 My message to the haters is simply: You cannot separate Zionism – the Jewish aspiration for a return our homeland – and Judaism.